Pilates has been around for a long time (almost 100 years!) and was the brain child of German born Joseph Pilates. He worked with ballerinas to help them improve their strength and flexibility for performances – but extended the practice to normal people for the health of their bodies. 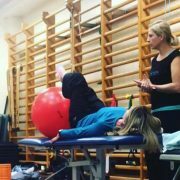 There are several key Pilates principals that feed into modern classes; having good control of your breathing, good posture, a strong core, and being able to perform movements with control, stamina and precision. 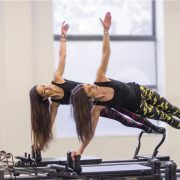 Modern Pilates classes will often focus on core strength and flexibility, which is why it is often recommended for people coming back from pain and injury. 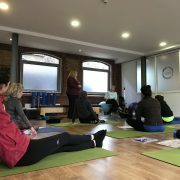 Yoga has it’s roots in ancient spiritual practices, but commonly yoga classes will be based on hatha yoga poses which gained popularity in the “yoga boom” of the 1980s. 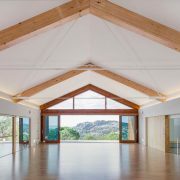 Modern yoga classes often focus on whole body strength and flexibility, and have a lean towards meditation and mental health at the end of the practice, known as the savasana. There are different types of yoga; such as the faster paced, more strenuous ashtanga yoga, prop assisted yoga, aerial yoga and gentle yin yoga. It’s important to research the class and teacher you will visit to know what kind of yoga you are going to. Not one, yoga or pilates, is necessarily better than the other – there’s different strokes for different folks! The best thing to do is to find a class you enjoy!